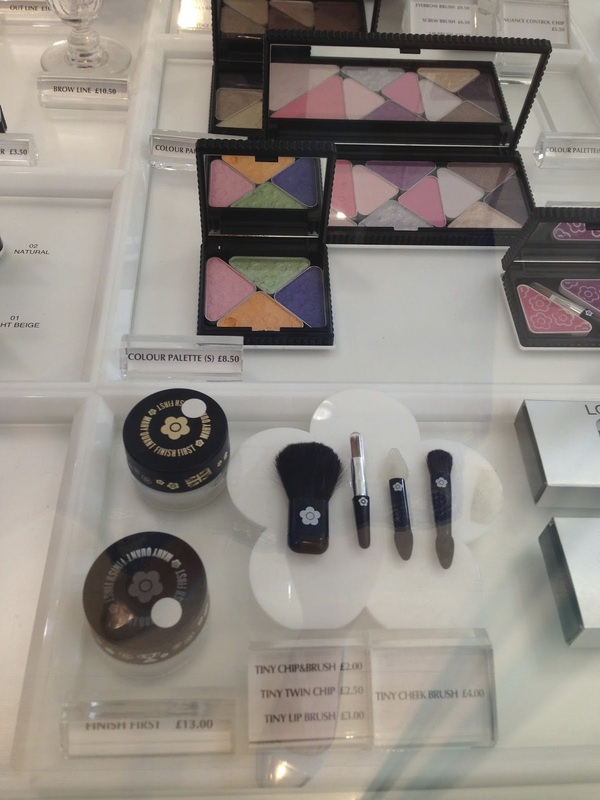 I am a shallow girl, in the sense that any products that are pleased to my eyes, I would right away think "I need that!". Packaging made up a large part in my decision making process of whether to buy a product or not - Packaging not just means pretty in the box, but also includes clever design, compact compartments, embossed patterns... etc. 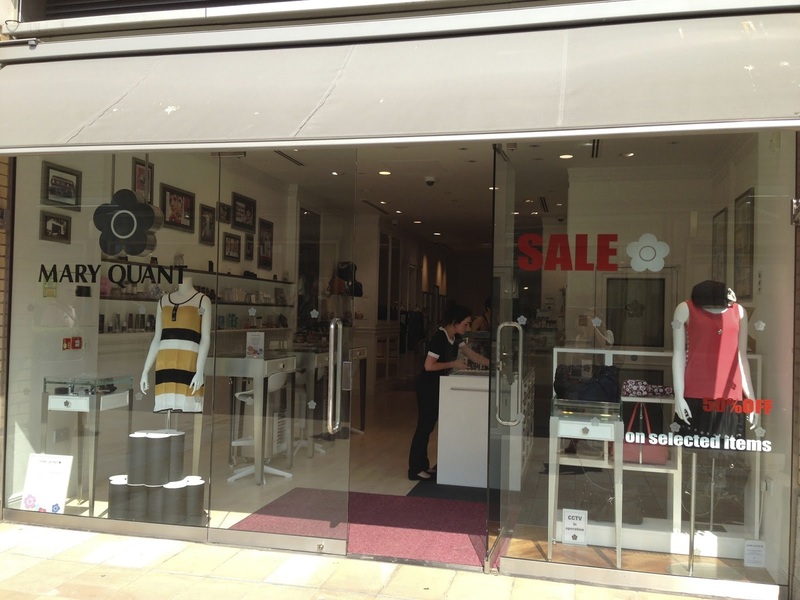 With this in mind, you will now understand why I am determined to make a purchase from the Mary Quant shop in Chelsea. 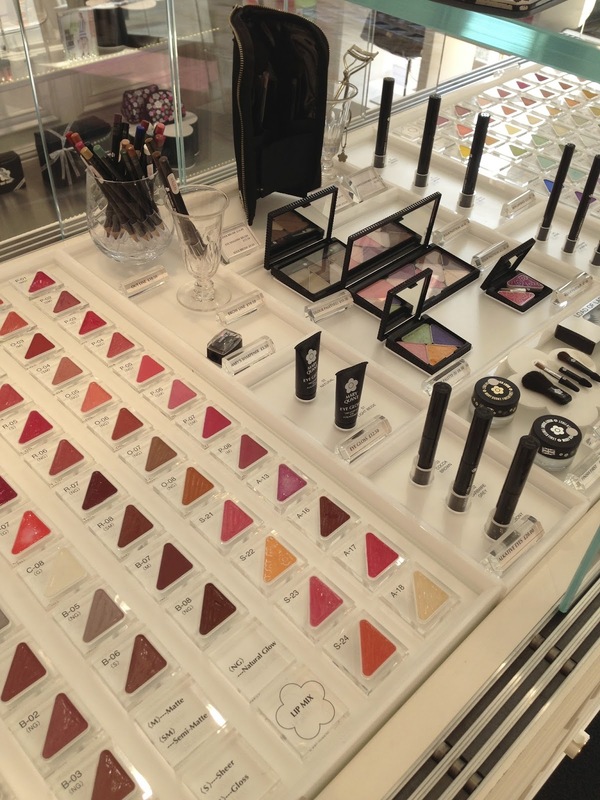 The shop in Chelsea sells mostly makeup products, but they have accessories and clothes as well. My focus is definitely on their makeup range. They have made-up palettes in seasonal collections, but otherwise, their products are based on a customisable system - you pick any combination of eye shadows, lip gloss and blushes that you want, and to fit them all in various size of empty palette. So, let's take a look at what I bought. 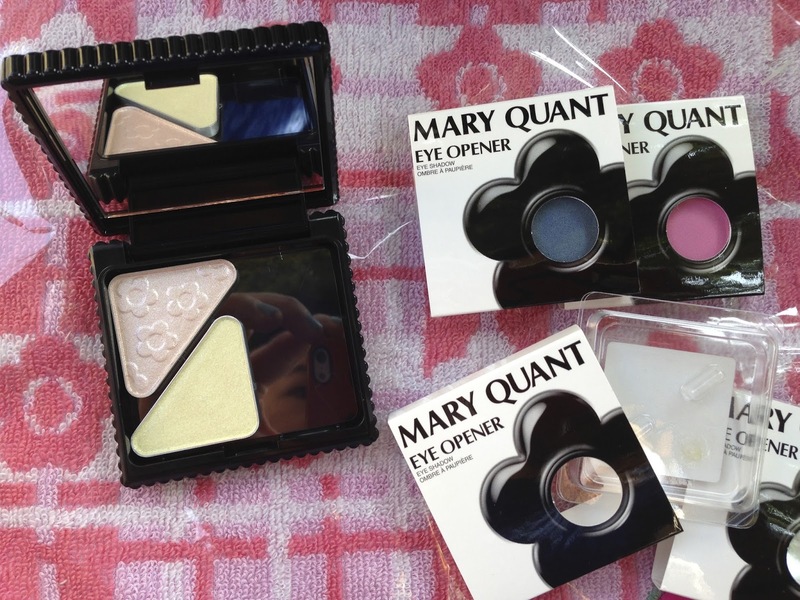 I made up a quad eye shadow palette, also chose a makeup bag and a face towel. They all have the signatures daisy flower on them, just so cute!! There were two colours in the shop and I chose the black one. Look at the detail in the zip!! One is a nail polish bottle, the other is a little tube of lip gloss!! 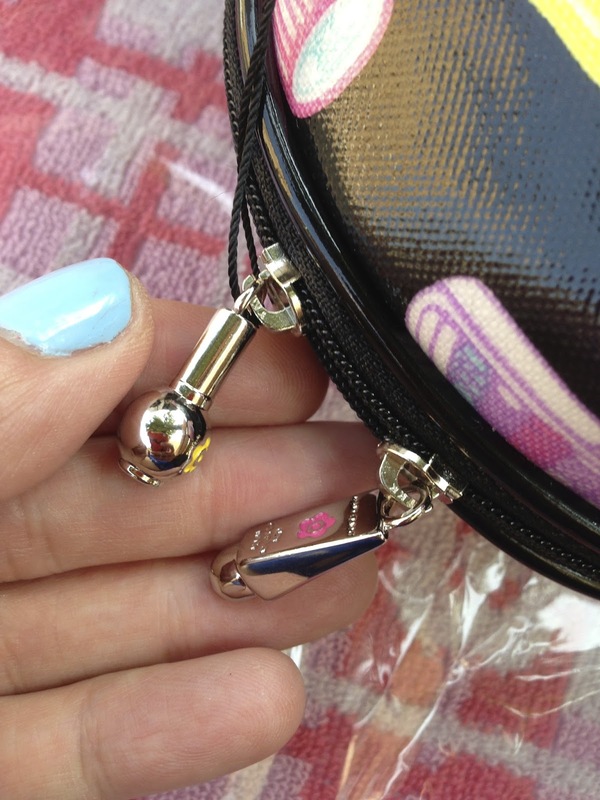 The cute little handheld mirror came with the makeup bag! 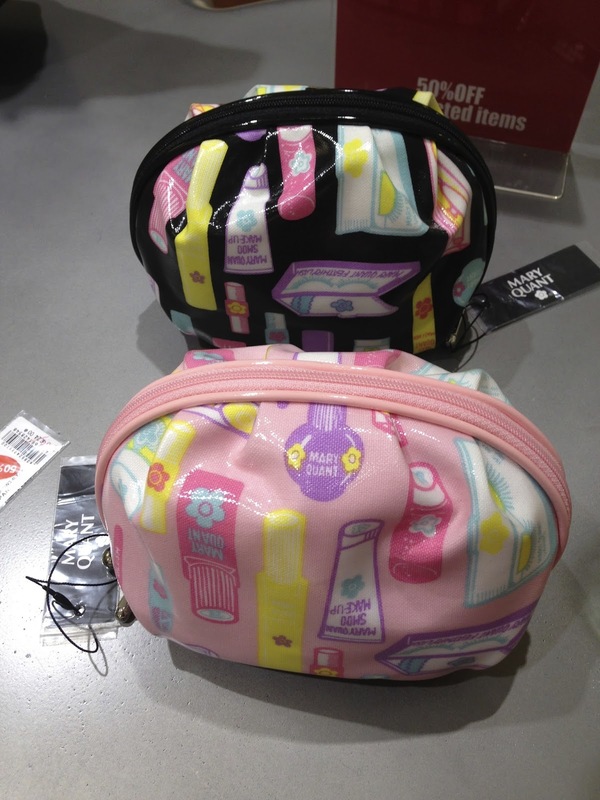 The inside of the bag has a zipped compartment and some little compartments to hold lipsticks or mini perfume samples, not just one space for all. This makes the bag even more practical. T-03 - a sparkling yellow-green - it doesn't come out as yellow or green, but what it does have are beautiful glitter. Dap a bit on the lid with fingers to add sparkles to the eyes. Fool-proof way to turn a day look to an evening drinks look. 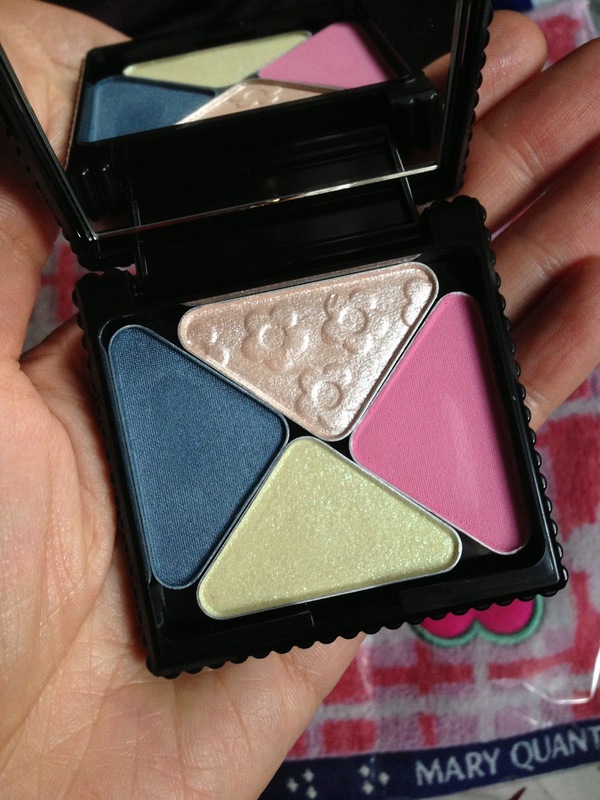 P-02 - bright pink - as I am planning to keep this palette in my handbag, so I chose this pink eye shadow to be used as a blush. 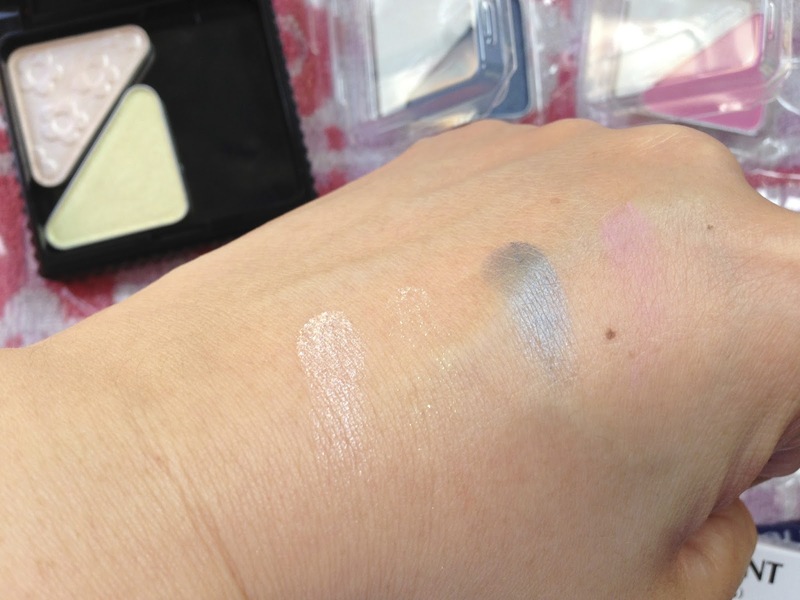 The quality of the shadows are good, nicely pigmented and easy to blend. One of the annoying thing is the colours are named in codes rather than proper names, making it difficult to recommend people on specific colours, or the confusion of purchasing the same colour in duplicated. 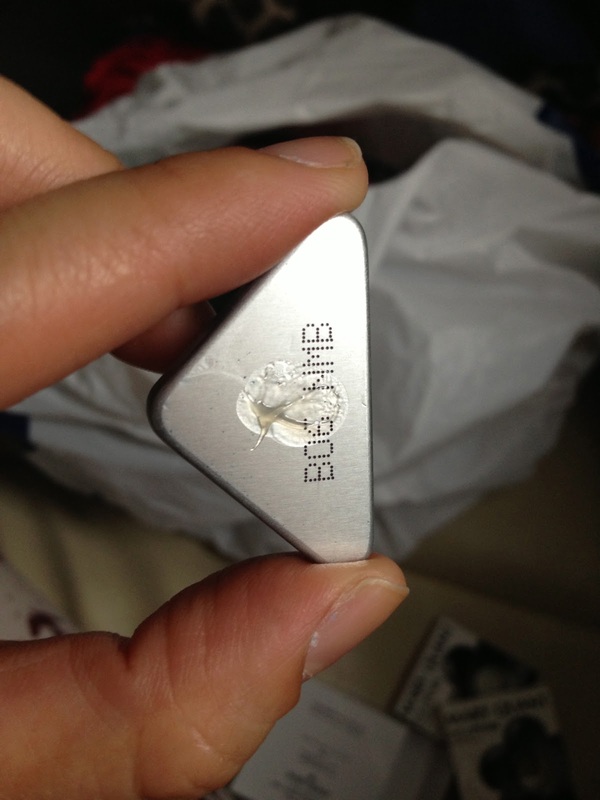 Another issue is the adhesive system of the palette. 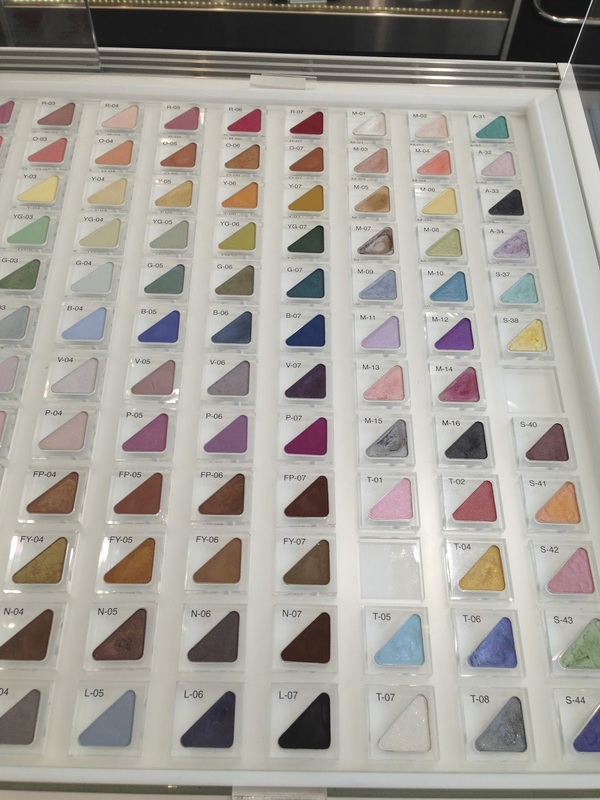 Customised palettes are general magnetic (like MAC, Inglot), or a clicking system (like Paul & Joe, Urban Decay) to adhere the eye shadow pans to the empty palette. 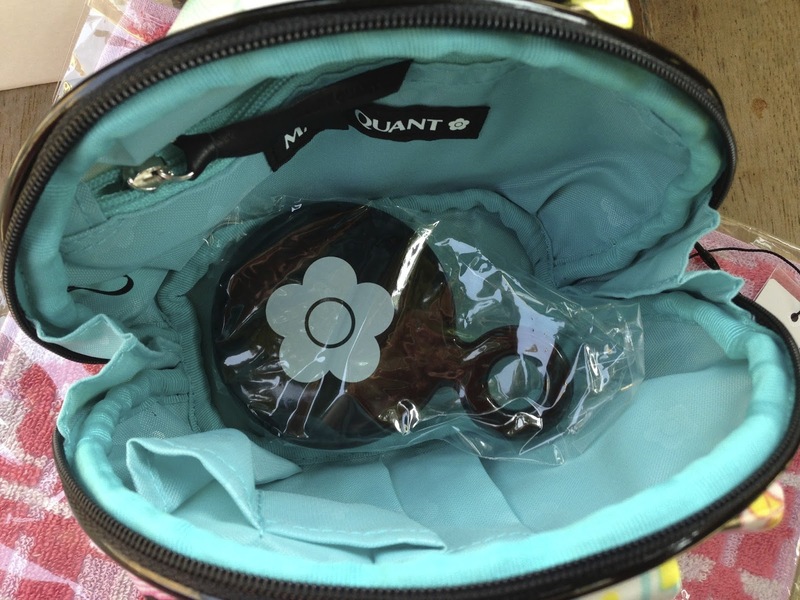 However, in the case of Mary Quant, the adhesive system is by glue. At the back of each eye shadow pan there is a little blob of glue (like how the free gift sticks to the front of a magazine). That makes it messy to swap over eye shadows. Having said all that, the packaging itself wins my vote hands down already! I can tolerate all the other minor issues that I have found. 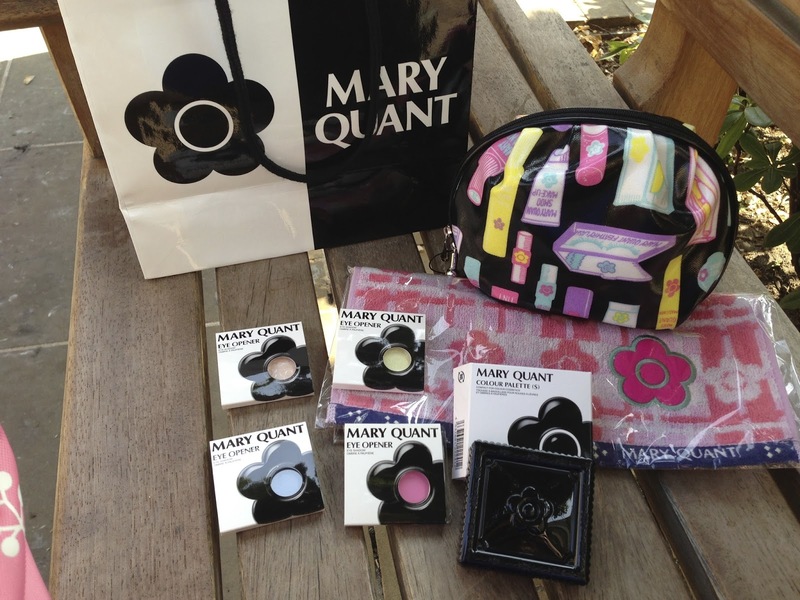 Have you tried anything from Mary Quant? And what do you think of them?